LifeCell pH Balanced Anti-Aging Cleanser is a uniquely formulated solution to safely cleanse your skin of makeup and impurities without stripping it of its natural oils.It maintains the skin natural pH balance and provides anti-aging benefits while remaining gentle enough to use both in the morning and evening. The alcohol-free astringents; Chamomile, Tea Tree Oil, and Rosemary, eliminate and prevent blemishes by removing grease and tightening pores to keep impurities from entering the skin. And Resveratrol to fight off skin harming free-radicals. It's perfect for preparing the skin for the All-in-One Anti-Aging Treatment. 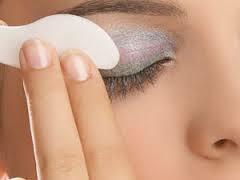 Massage a small amount of cleanser and water on to the skin for about 30 seconds. Wash off and pat dry. Use at the beginning and end of each day. For accelerated anti-aging results, follow with LifeCell Anti-Aging Treatment.